Premier Energy recently brought home a number of awards from the 2017 CountryMark Awards Banquet. During the banquet, Premier Energy was recognized for outstanding liquid fuel and lubricant sales and service. Seven Premier outstanding employees were recognized as CountryMark Gold Level Achievers. This elite recognition program is open to Petroleum Sales Representatives and Outside Sales Specialists throughout the CountryMark system. Gold Level Achievers earn gold level sales performance status in either fuel, lubricant or grease categories. 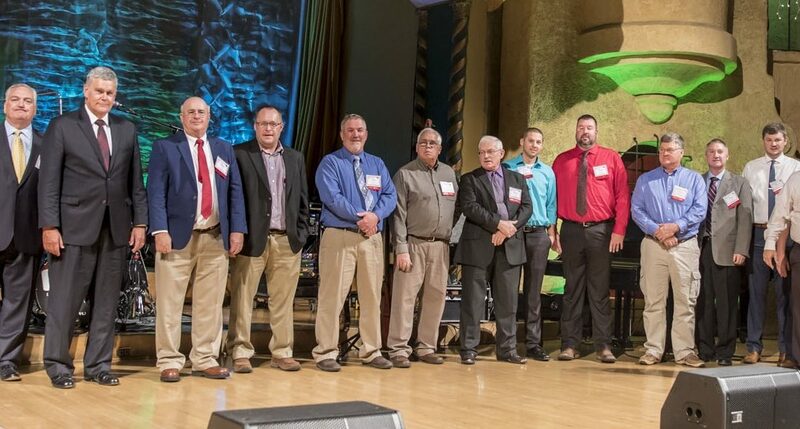 Premier’s 2017 Gold Level Achievers included: Drew Allen, Curt Engleman, Brian Hoeing, Mark McClellan, Mike Powers, Johnny Tedder and Fred Williams.